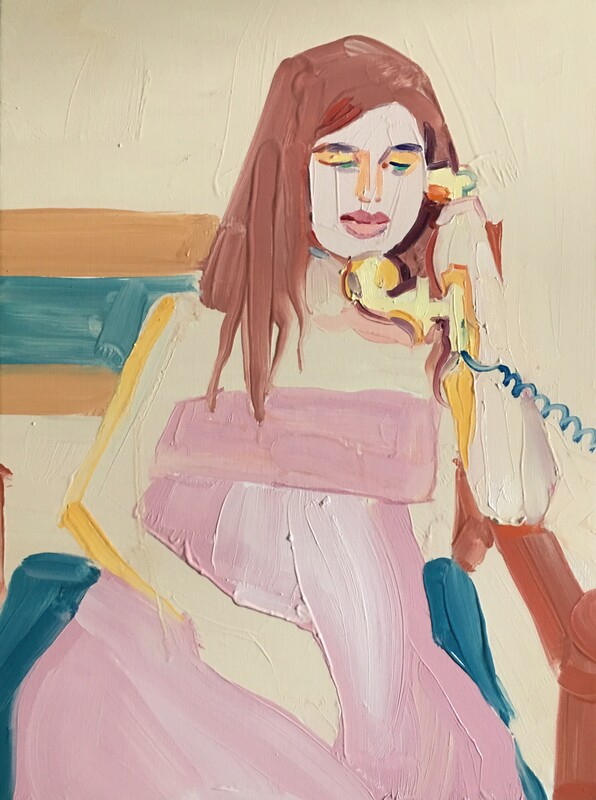 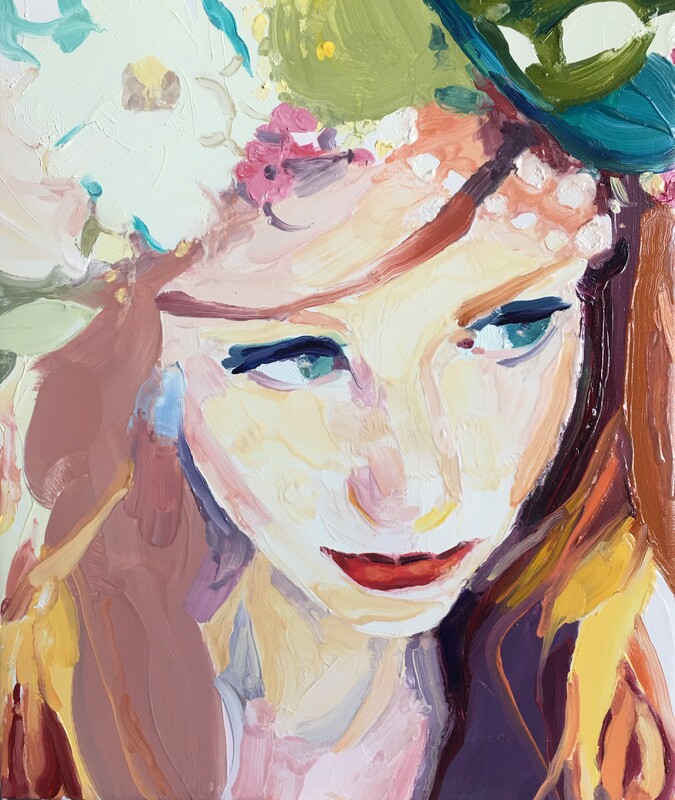 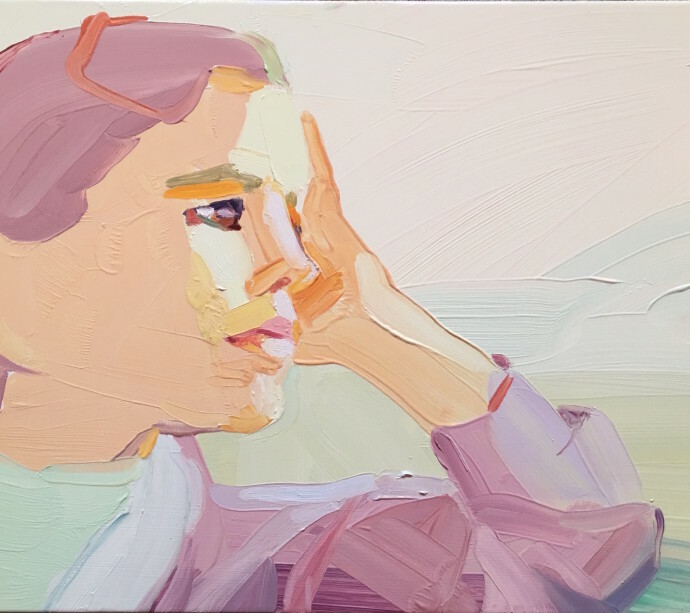 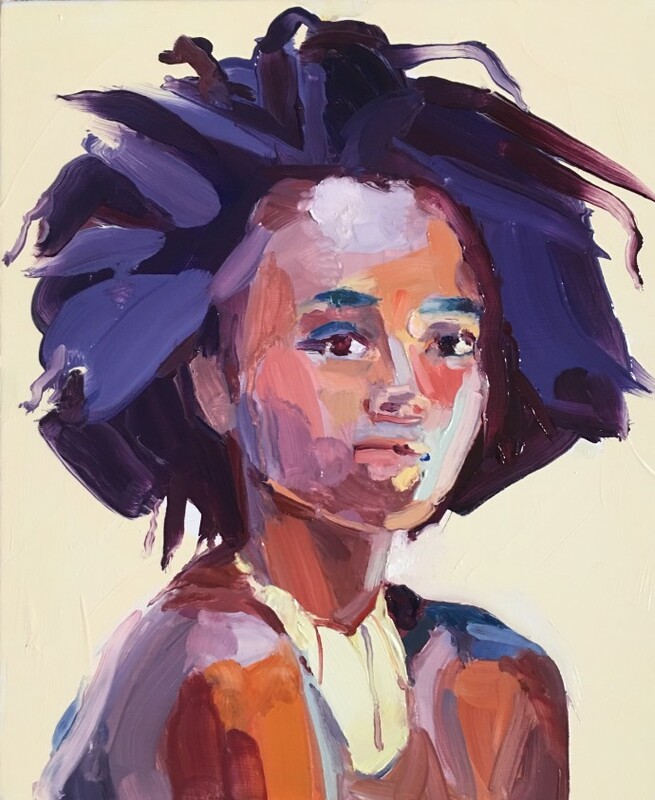 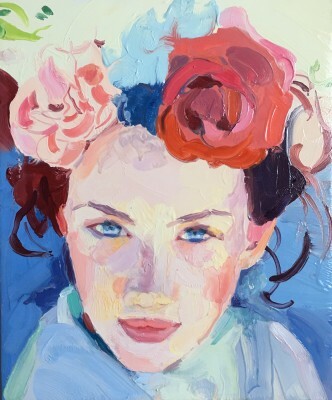 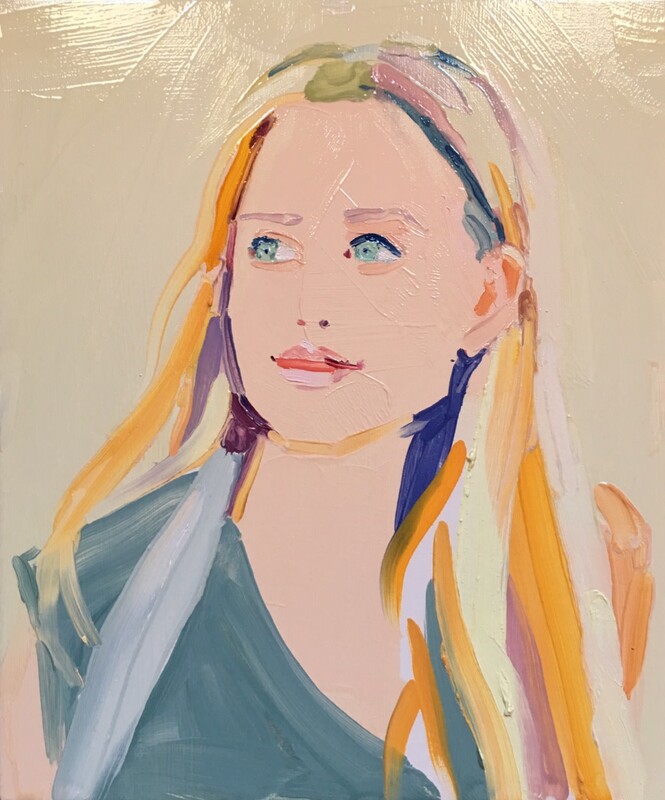 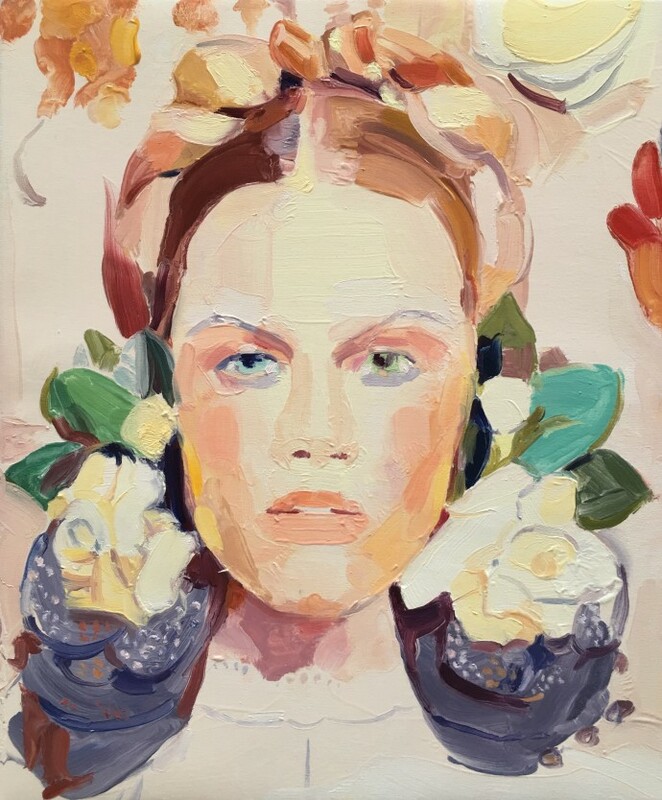 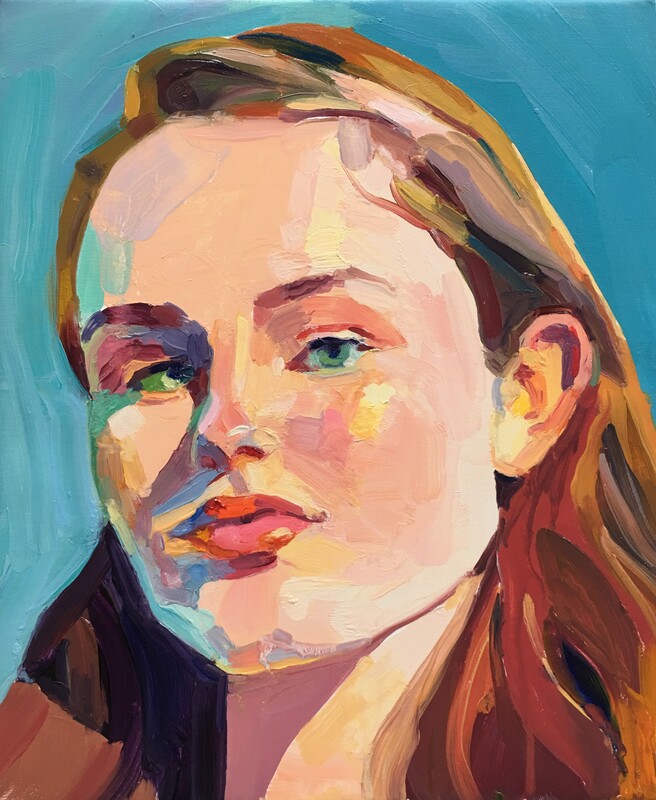 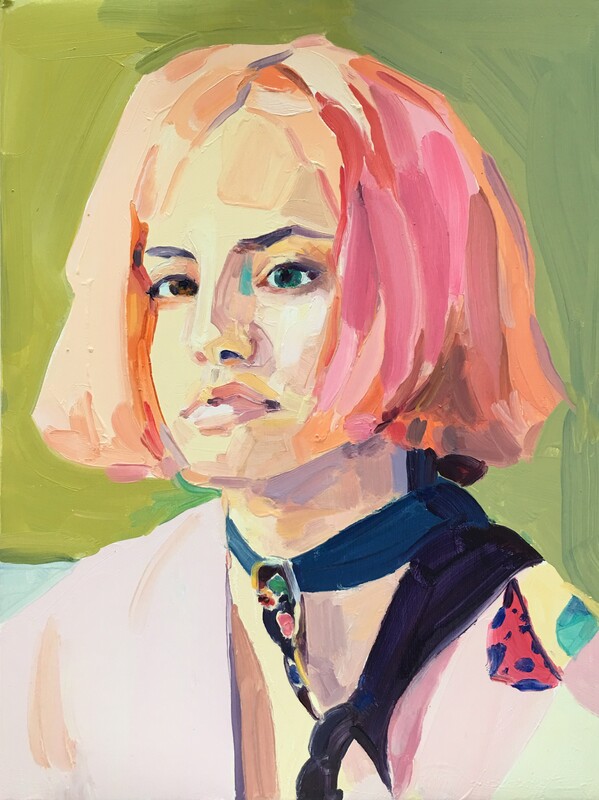 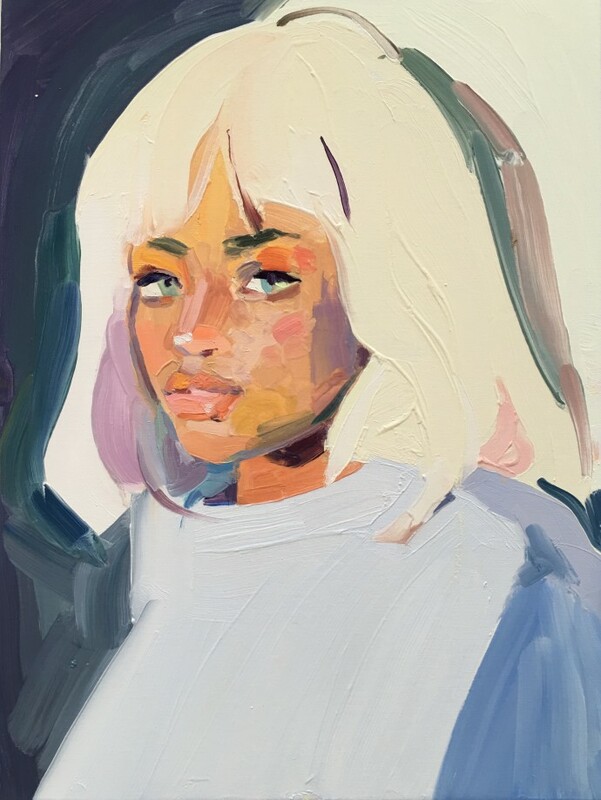 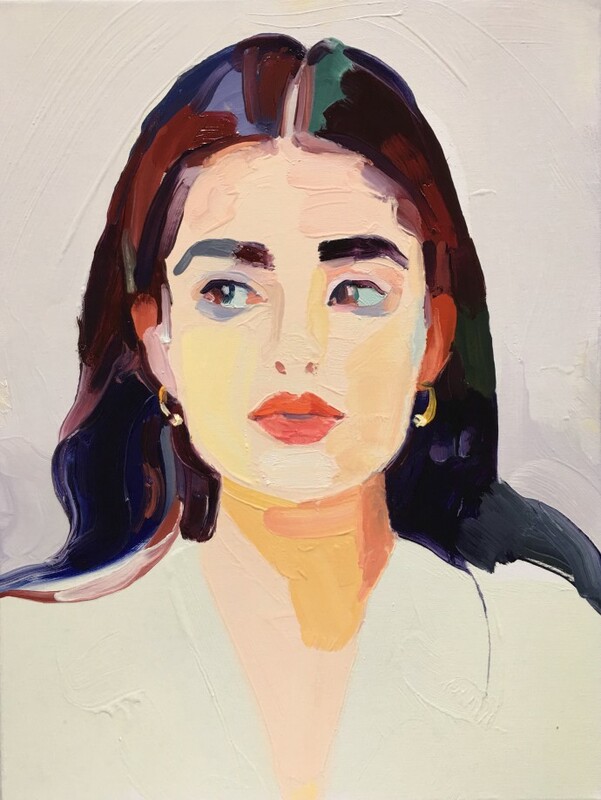 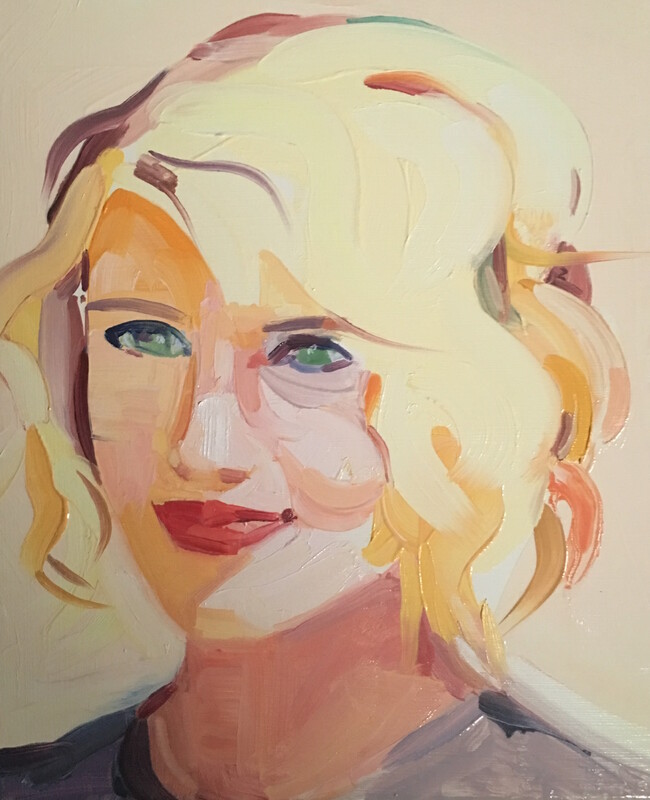 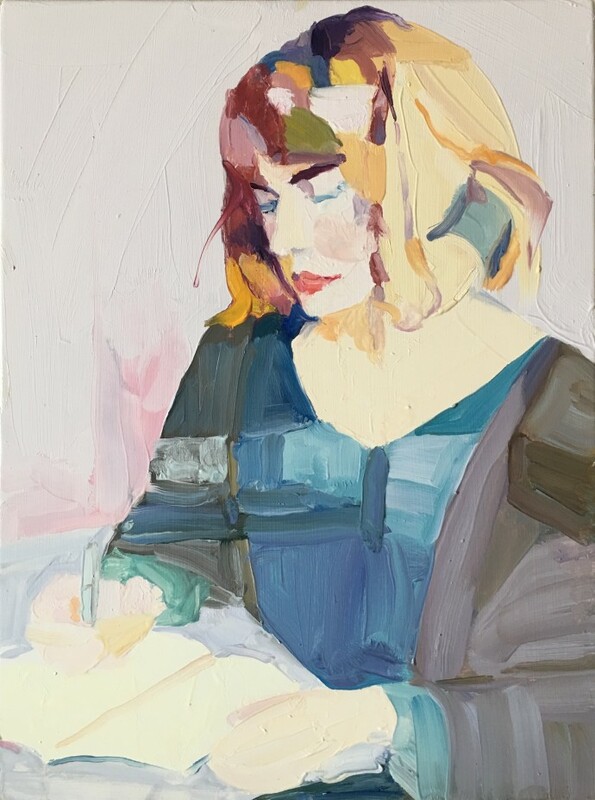 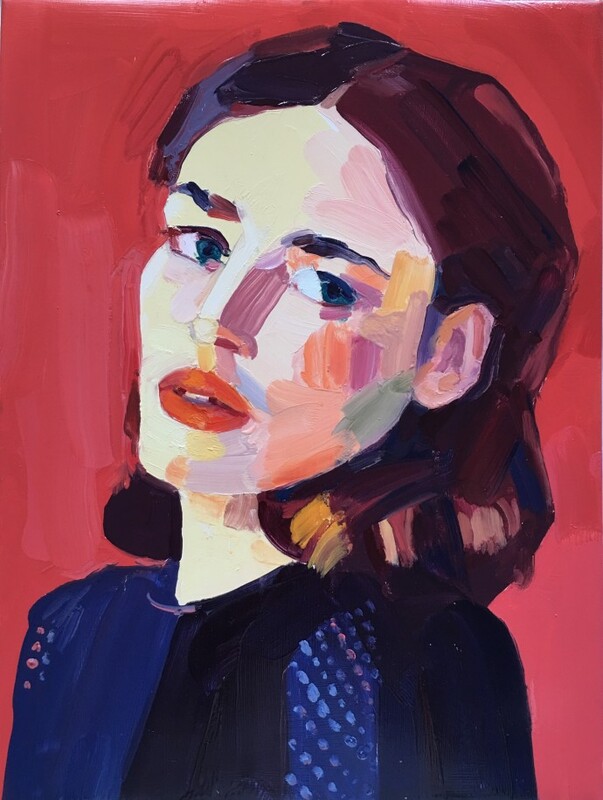 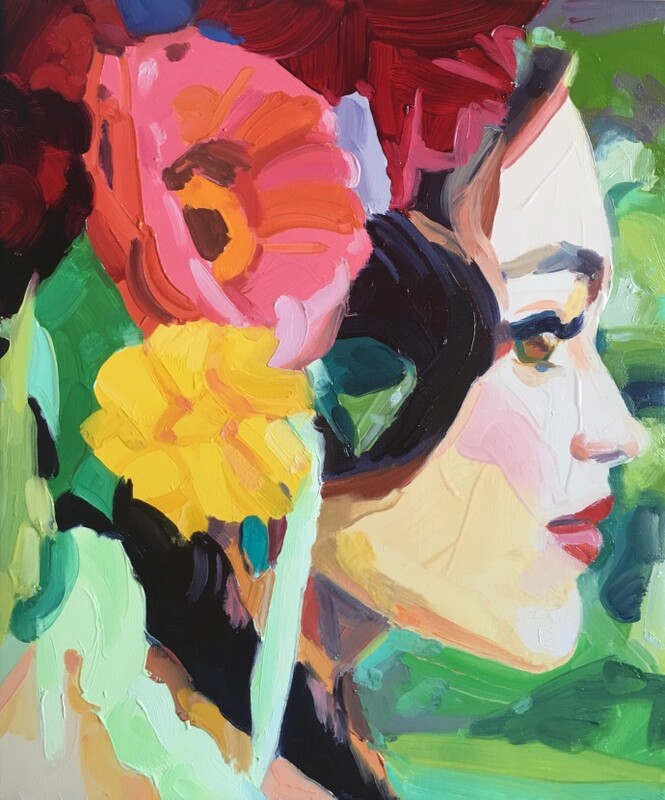 Gorgeous is a joint exhibition which features the work of two innovative portrait-artists: Madrid-based Maria Torroba and London-based Dutch painter Barbara Hoogeweegen. 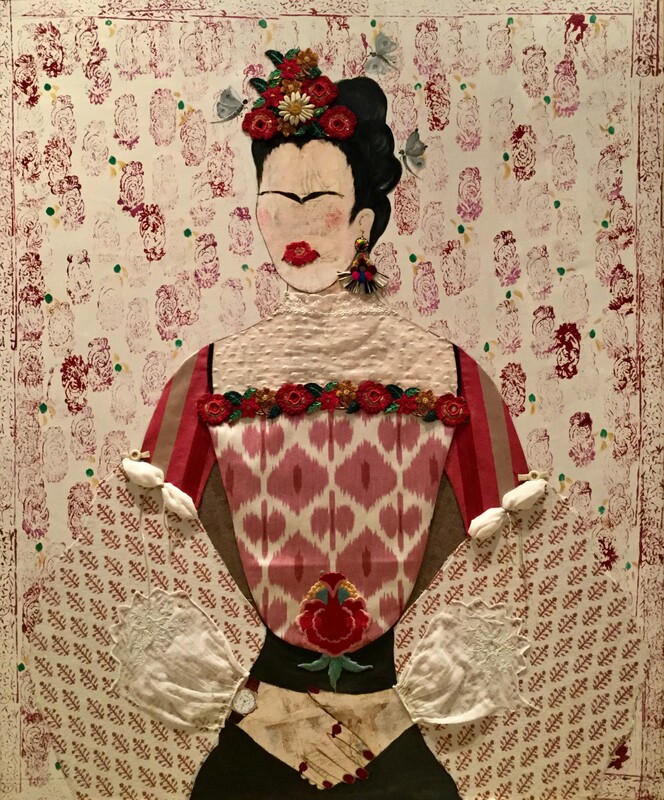 United by their shared motif of the female figure, both women explore the representation of the individual in very different ways. 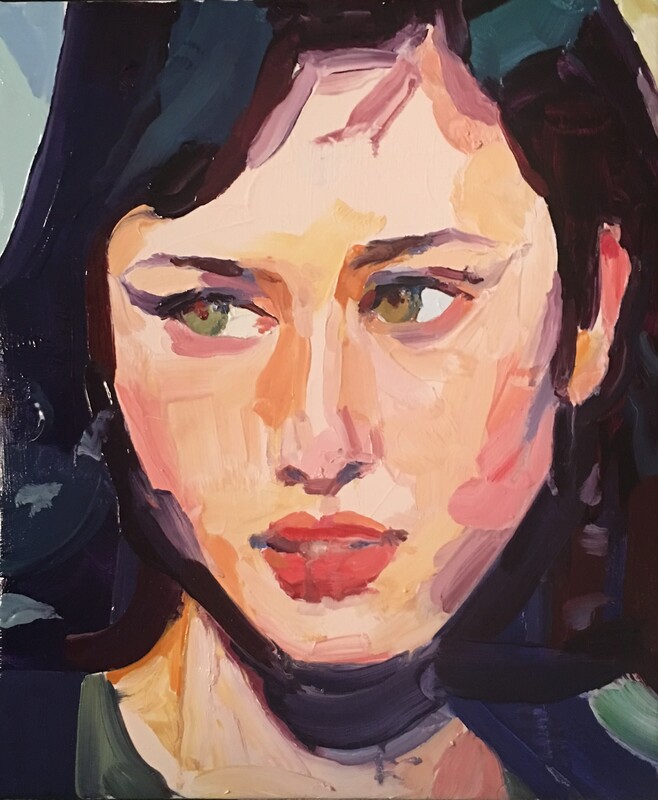 Hoogeweegen's carefully-worked but freely-expressed oil-paintings achieve a striking but oblique intimacy. 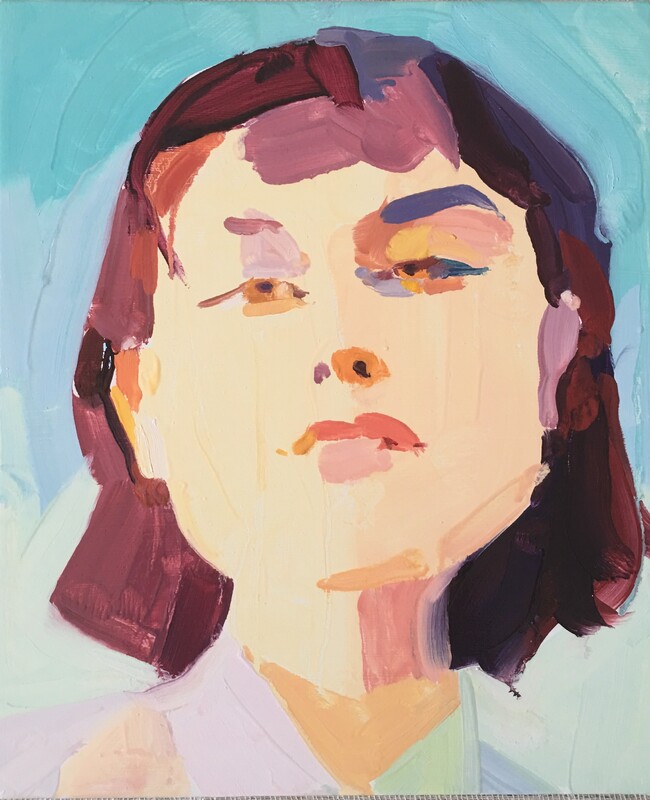 Derived from photographs she has taken of her subjects, as well as film-stills and found images, Hoogeweegen’s paintings explore the tensions between the self and the projection of the self. 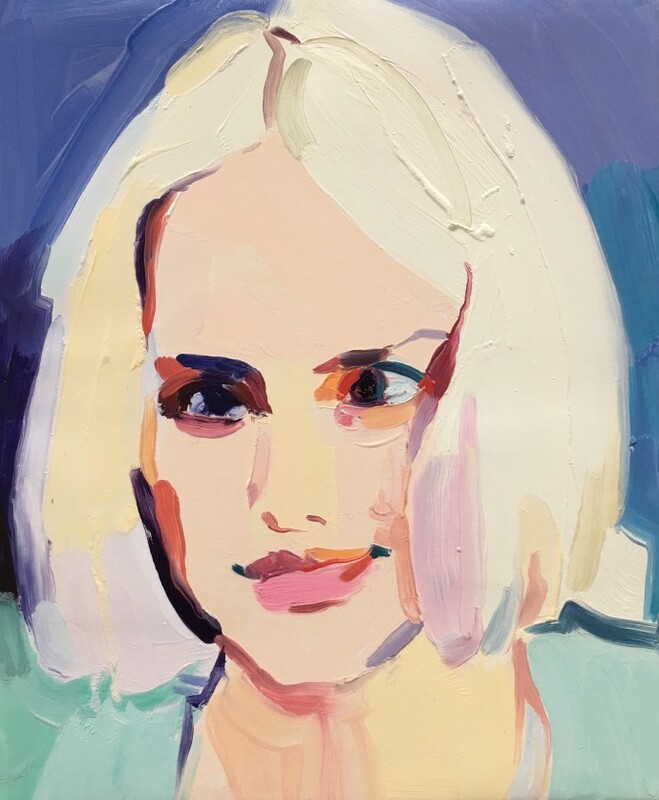 She has a fascination with facial expressions and how they emphasise the juxtaposition between the performance of a specific moment and its reality. 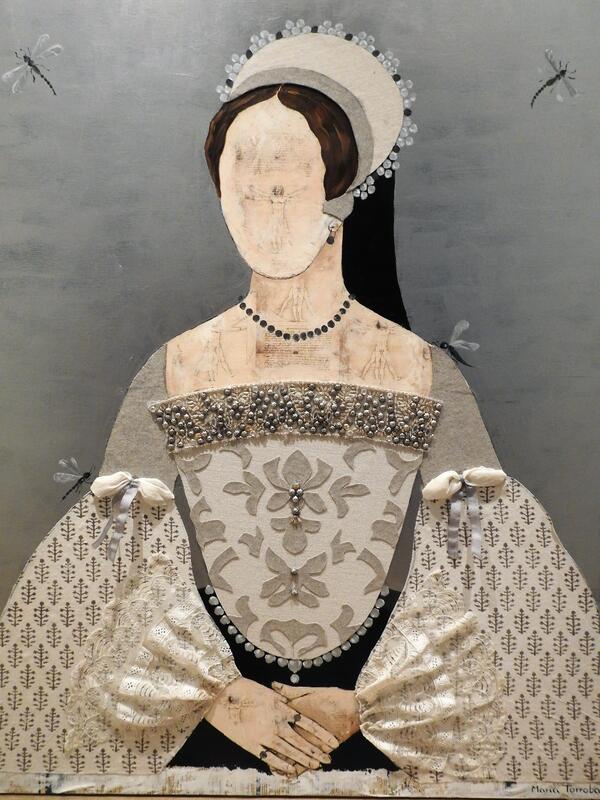 Torroba’s work, although also concerned with projection of image, is altogether more monumental. 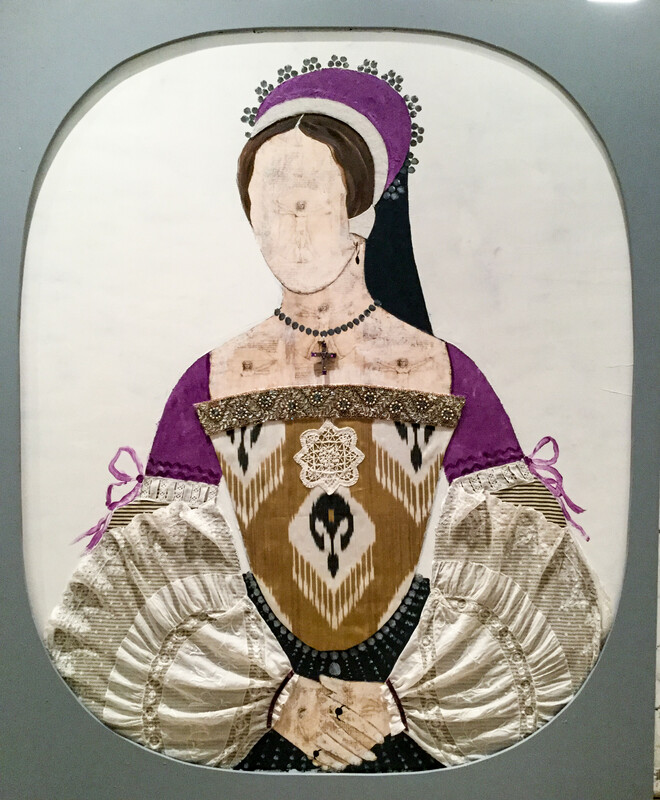 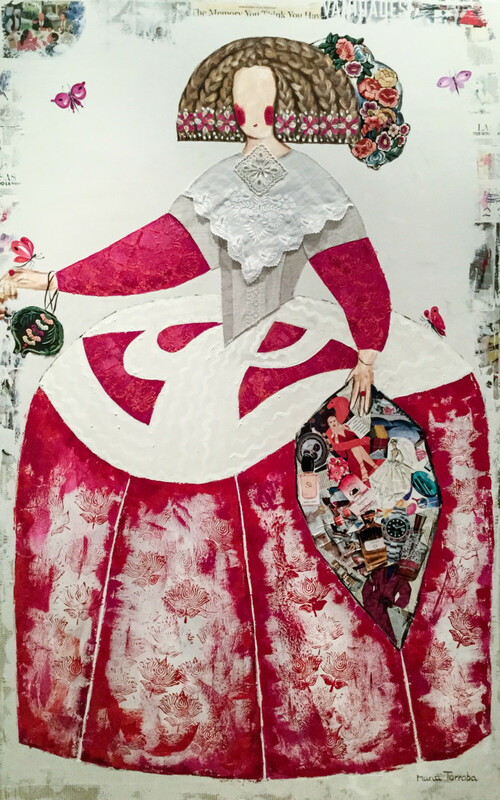 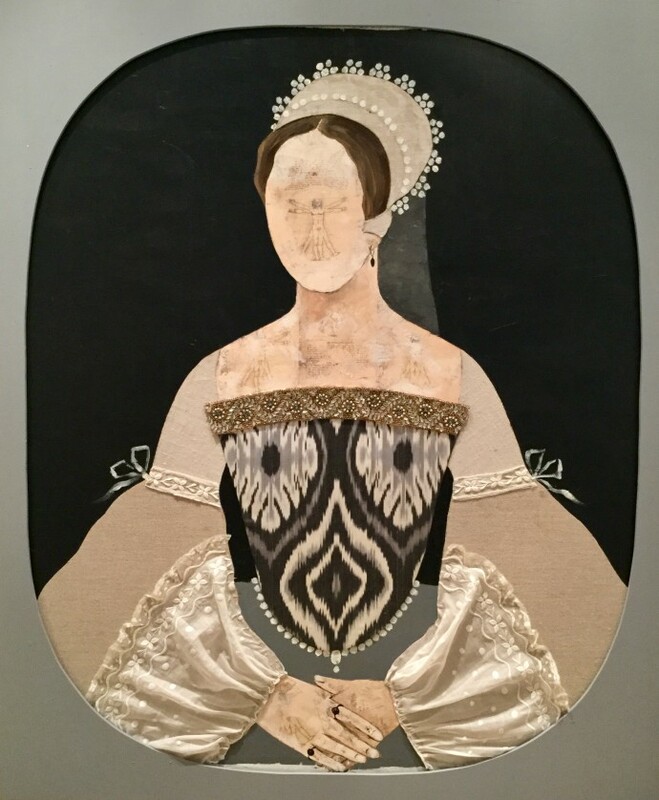 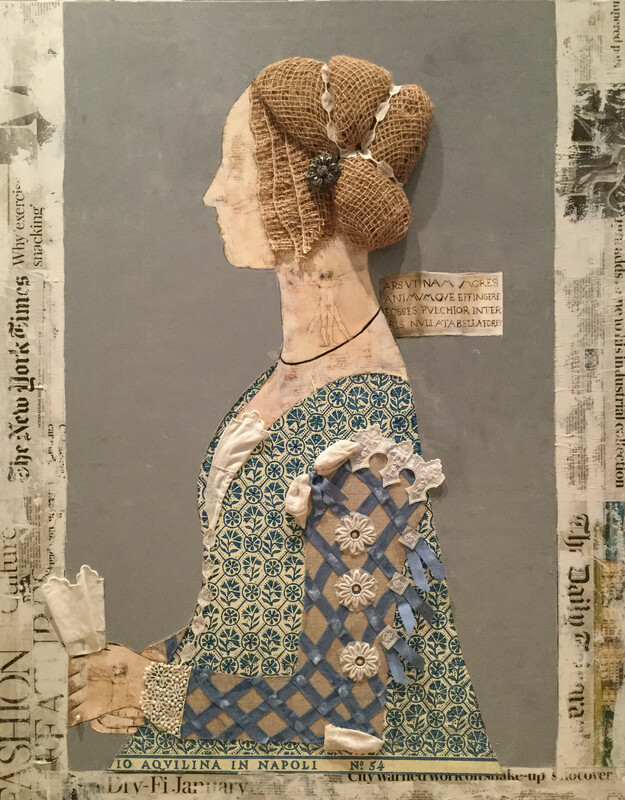 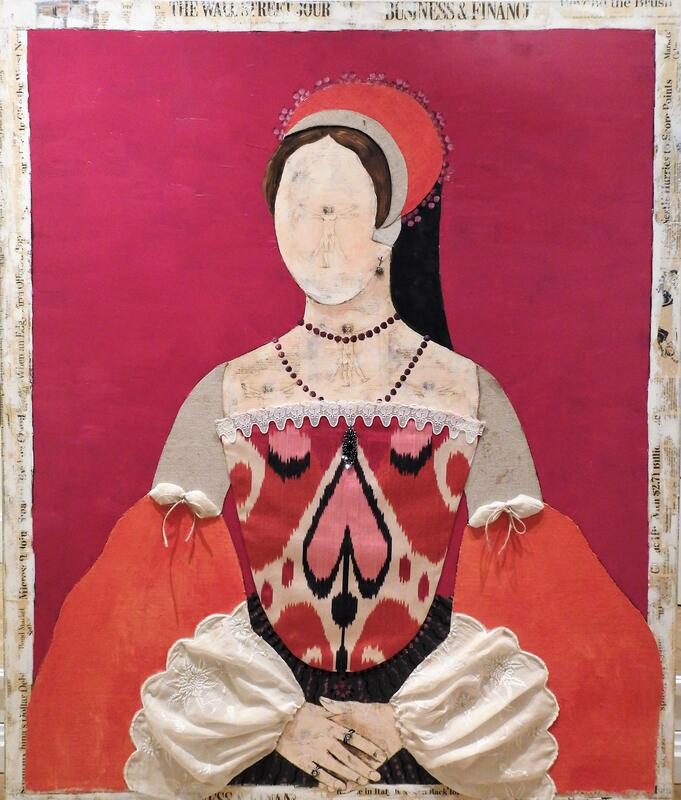 Her collaged and textured representations draw upon the traditional court-portraiture of the Renaissance period. 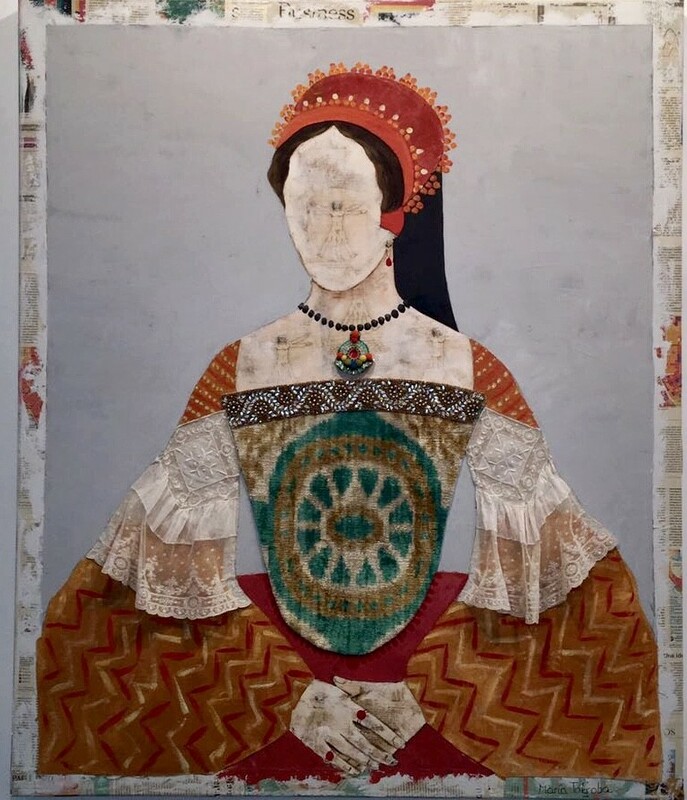 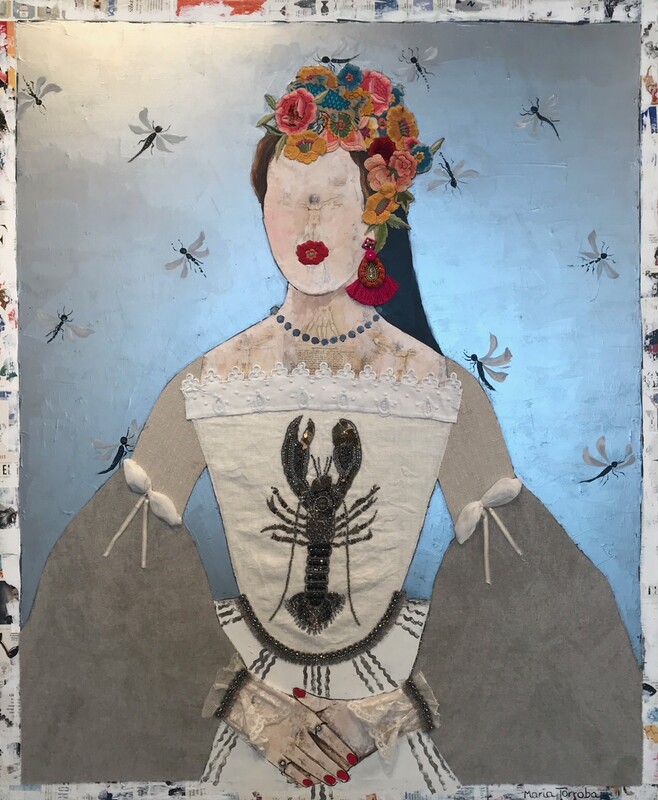 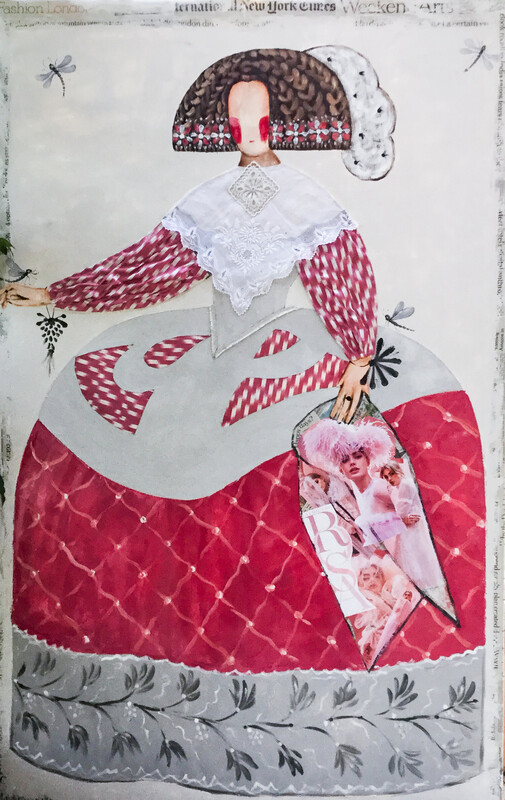 Her visually absorbing pictures, stiched with vintage textiles and seeded with jewels, marry the radiance of oil painting with textures and patterns of other media, co-opting and subverting the recognised motifs of the Renaissance tradition. 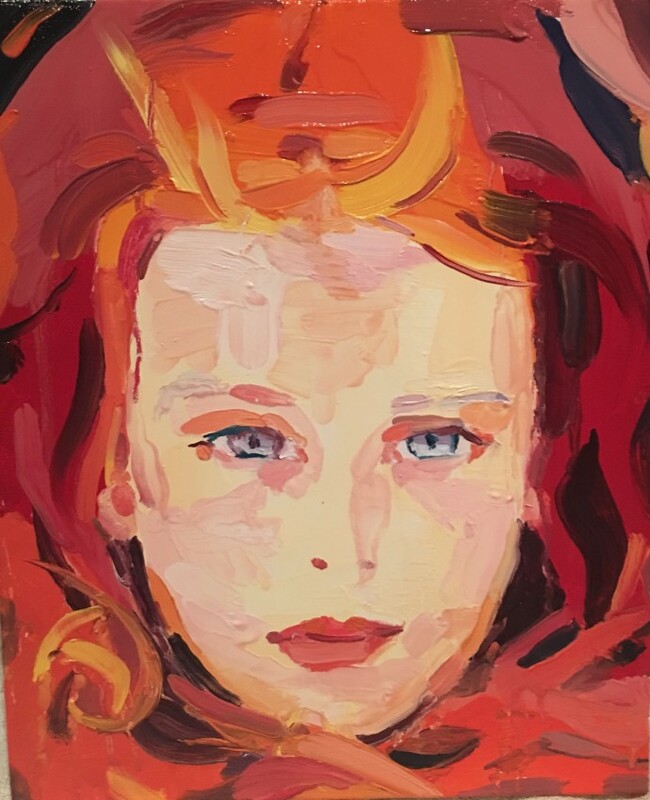 The exhibition will run at the Conway Street gallery, from Thursday 3 May until Saturday 26 May 2018.